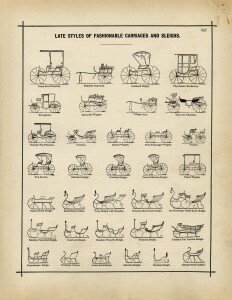 This old book page is filled with a variety of illustrations of antique carriages and sleighs. 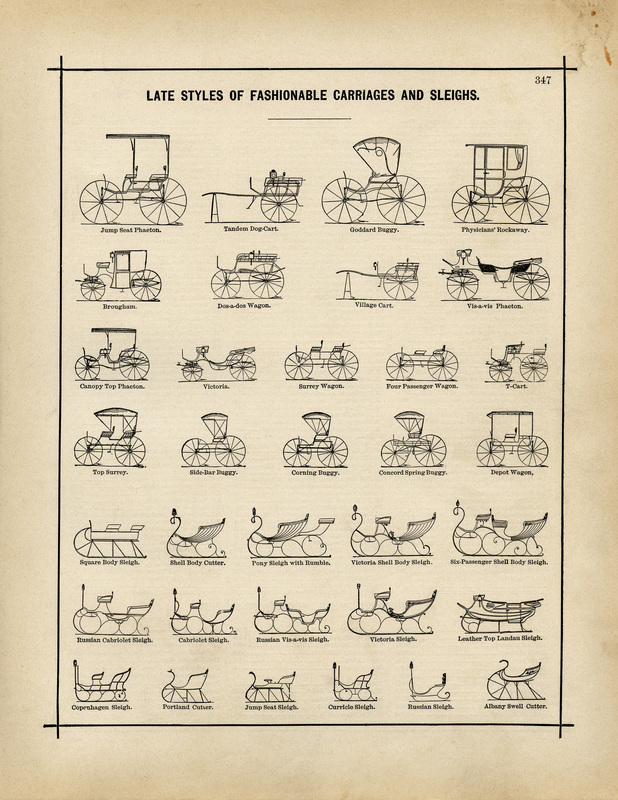 The page is titled, “Late Styles of Fashionable Carriages and Sleighs”. You can find a similar page of antique transportation (carriages and vehicles) on my blog here. I scanned the page from Hill’s Manual of Social and Business Forms, by Thos. E. Hill, 1886. To me, Christmas is sleighs with a beautiful horse pulling the sleigh in the white snow. I love the vintage look. Thanks so much for sharing these images with us.